Cutting edge design, specially heat treated materials and competitive pricing is the winning combination for the increasingly popular Swift Chain. Swift Chain is produced in Taiwan by the same manufacturers that make original-equipment chain. 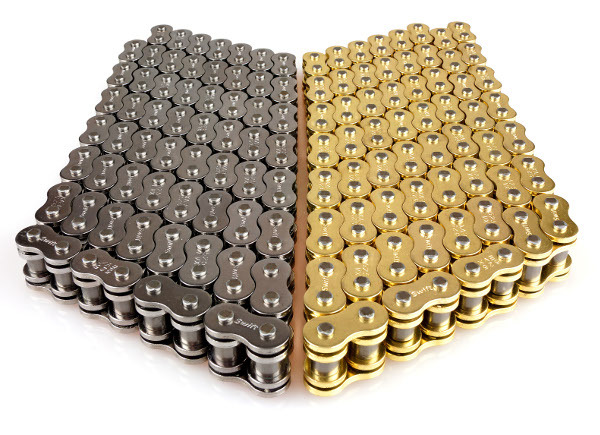 High quality specially heat treated steel is used to make each chain, resulting in an exceptional tensile strength. The Swift range includes Standard, Heavy Duty, Heavy Duty O-Ring and Heavy Duty X-Ring chains; listed to over 10,000 different models and available in a variety of pitches and cut lengths. 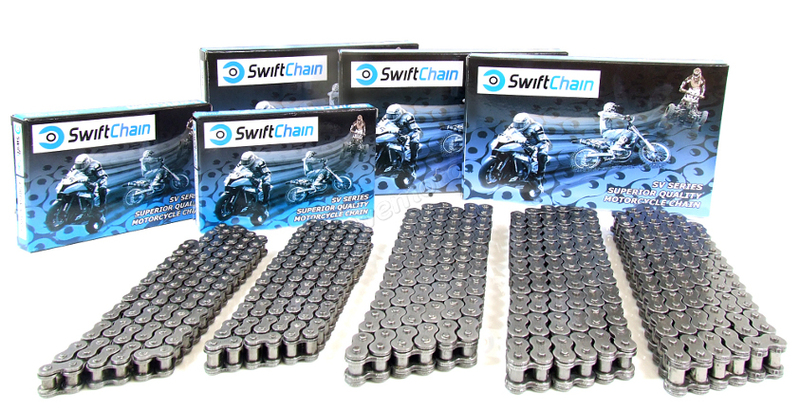 Swift chains can also be purchased as part of a kit to include JT front and rear sprockets. The full specifications for Swift Chain can be found on the Swift website.